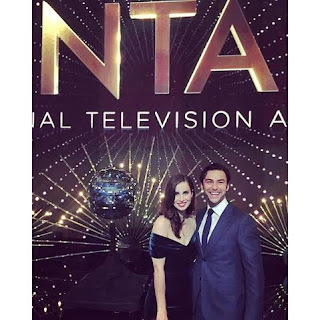 Many of us were tuned into the annual National Television Awards (NTAs) on Wednesday night, which were held at London's 02 Arena. 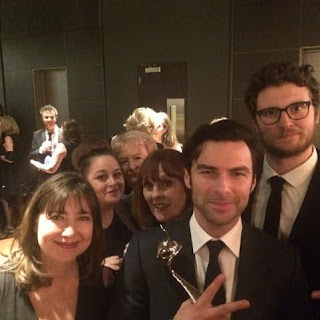 With Poldark nominated for Best New Drama, Best TV Moment and Aidan Turner for Best Drama Performance we were looking forward to seeing our favourite stars. The evening kicked off at 7pm and early on Aidan Turner and Heida Reed presented the award for Best Drama to Downton Abbey. 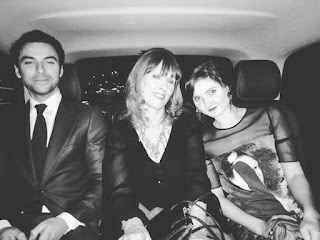 Both looked as stylish as you'd expect, Aidan was in an Alfred Dunhill suit, styled by his friend and regular stylist Kenny Ho, and Heida wore an off the shoulder teal dress by Emilo De La Morena. 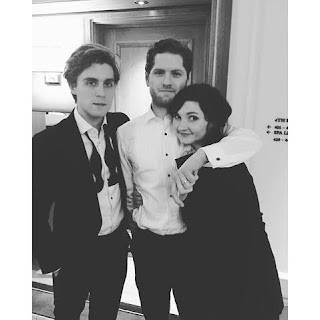 Other stars in attendance were Beatie Edney, Ruby Bentall, Kyle Soller, Jack Farthing, Caroline Blakiston, series one directors Willie McGregor and Ed Bazalgette, writer Debbie Horsfield as well as representatives from the show's producers, Mammoth Screen. To his surprise Aidan Turner was announced as the winner of a special new Impact Award for his Poldark work; this appears to have replaced the Best TV Moment Award. 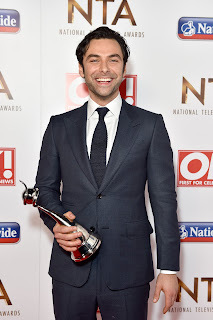 A delighted Aidan accepted the award and dealt with the inevitable questions about his torso from the press afterwards with charm, grace, modesty and good humour as he always does, a true star. 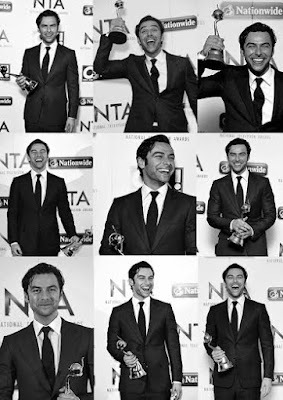 His performance as Ross Poldark has had an extraordinary reaction amongst the media and the public. Leading men have often been compared to Colin Firth, since his turn as Mr Darcy in Pride and Prejudice in 1995, but it really is fair to say there hasn't been anything quite like it until Aidan Turner rode into town as Ross Poldark. 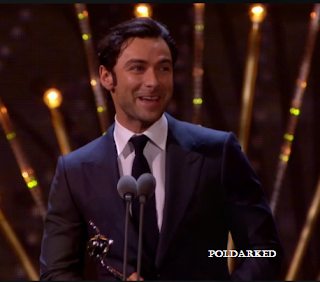 Aidan said he was delighted with the award, though he claims not to have noticed too much difference in his own life, but admitted, 'walking down the street, sometimes you get stopped.' and that his family, especially his mum were super proud of his success. He also let slip there are plans under way for a third series of Poldark already, which will begin filming in September 2016. Sadly Poldark missed out on Best New Drama and Bets Drama Performance to another BBC hit, Doctor Foster, and its lead actress, Suranne Jones. 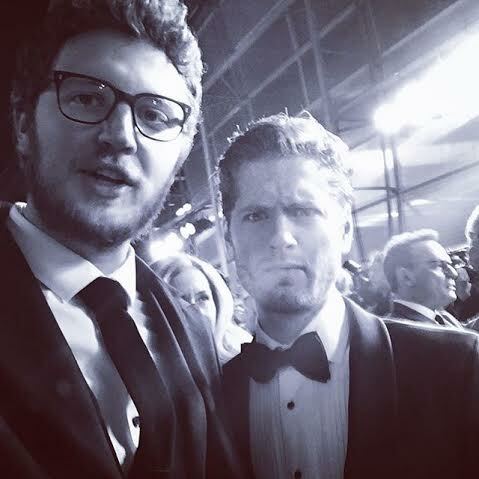 Willie McGregor and Kyle Soller, who was unimpressed with being mistaken for Seth Rogen! Check out our exclusive interview with Heida Reed here. 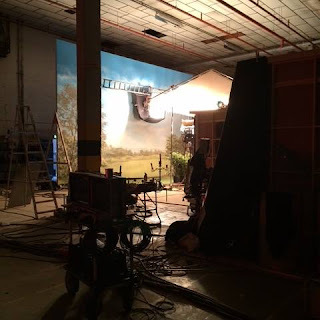 The original pictures from farfarawaysite.com can be found here, along with others from the evening.